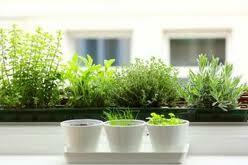 Having your own indoor herb garden means you will have access and supply of fresh herbs all year round. With fresh herbs available anytime all year round, you can add flavor to any of your recipes, together with adding health benefits to your food. You will no longer have to leave home and drive to the nearest supermarket that supplies fresh herbs. Herbs can easily be grown indoors, if the environment inside your house is warm and is conducive for growing herbs, and then you will not have any problem in starting and growing your own indoor herb garden. If you have limited space in your kitchen for your indoor herb garden, a window box type indoor herb garden can be used to maximize your limited space. 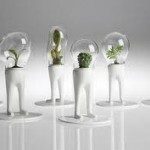 This type of garden type can be placed inside and outside your kitchen. You can install a galvanized steel rack to your kitchen’s window, and hang it outside or inside your window. 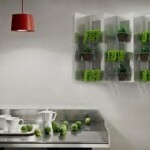 The steel rack is used to accommodate small pots with different herbs planted on it. 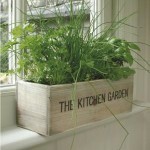 An herb basket indoor herb garden can be placed as a centerpiece on your dining table. The herb basket indoor herb garden will not just maximize your available space, it can also add detail to your kitchen or dining room. 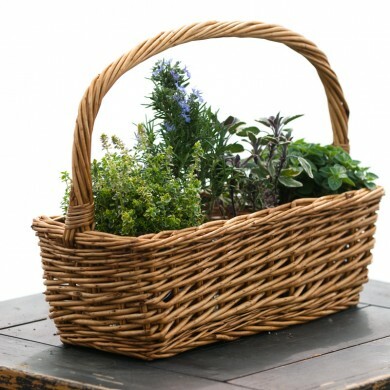 In choosing the right basket or pot for you herb basket, you can choose a rectangular and shallow basket with a handle. 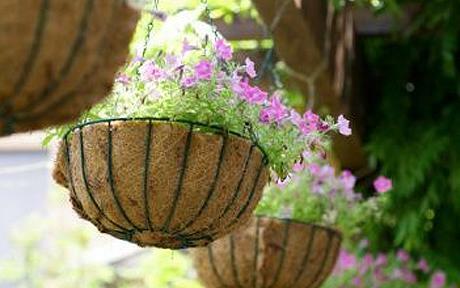 You can then line the bottom of the basket with plastic with small holes that can serve as drainage. 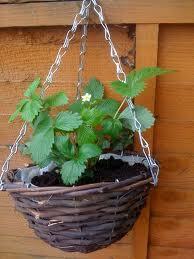 After lining the basket with plastic, you can then add gardening soil and herbs after. Do not forget to place a plate or tray under the herb basket, to prevent water from dripping on your table and down the floor. 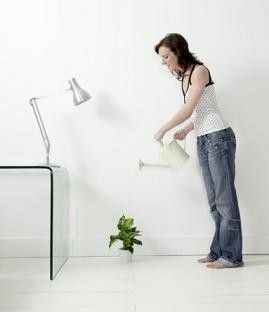 Herbs can easily grow when planted in containers. The size of the container you are going to use for your container indoor herb garden will depend on your available space. 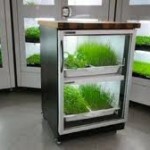 Just make sure that you are going to that you will place your container indoor herb garden somewhere that natural sunlight can reach. And always remember the basic rule to always consider in planting herbs and any other plants, never overcrowd or plant herbs very close to each other. 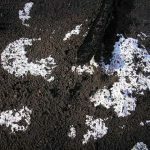 Herbs planted very close to each other can result in poor growth and lower survivability rate, whether those herbs are found in your indoor herb garden or outdoor herb garden. How Many Hours of Artificial Light Do Herbs Need?